In this course you will study both Marine Studies subjects + Two more. 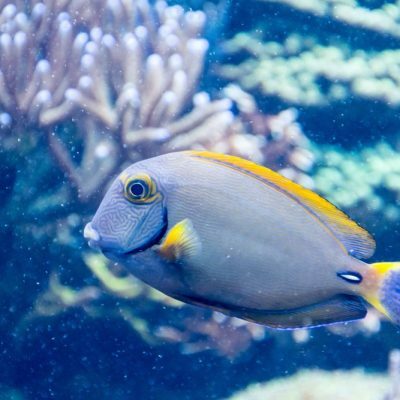 This course provides the student with a strong foundation in marine organism anatomy and physiology and an understanding of the habitats and environmental influences upon them. There are two core modules (Marine Studies A and B) which cover a wide range of marine families, student can then select two electives from Earth Science, Aquaculture, Mariculture, Environmental Assessment or Eco tourism Tour Guiding. We suggest that any Marine Studies students who are looking for employment gain additional qualifications such as an Open Water Divers Licence and a Coxswains (or similar boating) Licence, as they will then be better positioned to gain employment in this competitive field. Employers are always looking for practical skills as well as knowledge and the ability to work without supervision.  4 subjects (including Marine Studies A and B).  You pick two electives.  Save and pay upfront, or pay by interest free payment plan. Full Fee $2178.00 incl GST - Best Value!